Dr. Ang graduated with a Bachelor of Medicine and Bachelor of Surgery (MBBS) from the National University of Singapore (NUS) in 2010. He then completed a Graduate Diploma in Family Medicine (GDFM) and a Graduate Diploma in Mental Health (GDMH) by Institute of Mental Health. He is a member of the Royal College of Surgeons of Edinburgh (MRCSEd). 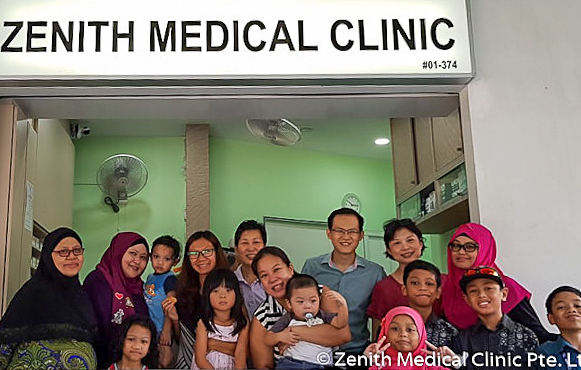 In 2014, he founded the Zenith Medical Clinic at Punggol West. This puts a huge load on the typically small staff in private clinics during peak hours, with patients having to wait hours before they get to see the GP. Dr. Ang’s main concern is that the intense stress that is placed on the stretched staff and GPs can result in a potential for errors in medical care, either because of the rush for time or because the staff or doctor are simply too tired. This is something which Dr. Ang and his fellow doctors strongly feel should not be allowed to happen. As a solution to address the problem, Dr. Ang has implemented an appointment system based on the MaNaDr healthcare app which is available free on the Apple and Google app stores. Patients who are planning to visit Zenith for consultation can fire up the MaNaDr app on their smartphones and pick from one of the available slots listed for their trusted doctors. “Perhaps in a busy restaurant, you might be able to accept slight drop in the food quality. 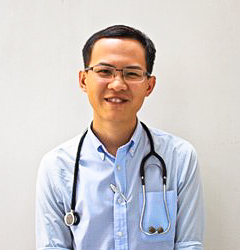 But in a busy clinic, THERE SHOULD BE NO LAPSE in safety or standard whatsoever,” Dr. Paul Ang Teng Soon, GP, Zenith Clinic, Punggol, Singapore. They then turn up slightly before their chosen time and get to see their doctor without having to wait for hours. For Dr. Ang, this gives GPs the control over how many patients they want to see, to ensure they have enough time to provide quality healthcare to every patient. For their patients, it means that they do not need to wait for hours in discomfort before getting to see their GP, risking exposure to germs from fellow waiting patients while queueing. Instead, they can rest in the comfort and safety of their homes and proceed to the clinic only when their appointed time slot is due – fully expecting to see the doctor at the appointed time – barring emergency cases. Having addressed the problem of regulating patient volumes, Dr. Ang and his fellow doctors are looking forward to other features that MaNaDr offers to help them use technology to provide better healthcare – eg. telemedicine via text-chat or video-conference consultations, house calls, teleLab and Smartnews. Since implementing the system a month ago, Dr. Ang has seen the crowds become more manageable. The doctors and staff are also better able to regulate the flow of patients at all times, unless there is an emergency case – in which case priority would naturally be accorded to it. He is excited that the app has successfully leveraged technology to solve pressing problems that GPs face on the ground.